The American Anti-Slavery Society met in Philadelphia’s Concert Hall 150 years ago, December 3–4, 1863, both to celebrate Lincoln’s Emancipation Proclamation and to commemorate the society’s thirtieth anniversary. The keynote speaker was Frederick Douglass, who delivered one of his most famous speeches, “Our Work Is Not Done.” Another featured speaker, Lucretia Mott, was also well known to the audience. She had founded the Philadelphia Female Anti-Slavery Society the same week that William Lloyd Garrison and his colleagues had established the American Anti-Slavery Society. Mott’s speech summarized the history of the antislavery movement from the eighteenth century to her day. In addition to honoring such prominent national leaders as Henry Ward Beecher and William Furness, Mott acknowledged her younger associates Lucy Stone, a leader of the women’s rights movement; Jane Elizabeth Hitchcock Jones, coeditor of Ohio’s Antislavery Bugle; and Theodore Tilton, a writer and editor. She mentioned three Quaker forebears from the early days of the struggle, Benjamin Lay, Ralph Sangerford (or, correctly, Sandiford), and Elias Hicks, as well as the more recently deceased Englishman Thomas Clarkson, who spearheaded the passage of the 1807 Slave Trade Act in Great Britain. But much of her speech urged her listeners, in the aftermath of their success, to forgive past transgressions, set aside their disputes, and let bygones be bygones. She and Stephen Symonds Foster, her colleague from New Hampshire, had had their disagreements, but their arguments ultimately didn’t matter. Women had been forbidden from attending the assemblies in previous decades, but “those things we may pass by.” Various fair-weather friends had fled their meetings, fearing that the group had become too radical, but she welcomed them back at “this eleventh hour” in the hope they will strengthen their association as it nears its end. She even forgave the remorseful members of the “mob” who had burned Pennsylvania Hall to the ground in 1838 and asked her audience to welcome them to the fold. In so many ways, Mott was an optimist. Although old opponents reconciled, new divisions and internecine strife increased, and during the next year many fellow abolitionists would separate over future priorities. “I can’t believe all this wide difference will lead to any serious ‘split,’” Mott wrote—but she was wrong. 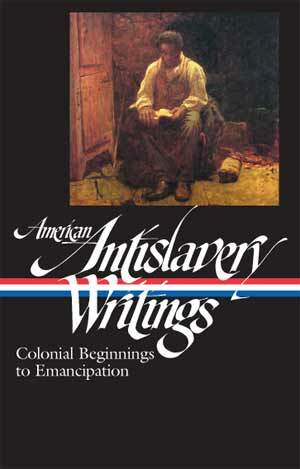 While some leaders believed slavery was finished and that future work should be devoted to aiding former slaves; others pushed for a constitutional amendment. Another matter for dispute was whether to dissolve the Anti-Slavery Society now that the “goal” of emancipation had been achieved. (It finally disbanded in 1870, after passage of the Fifteen Amendment extended the vote to black men.) Society members were even divided about whom to support for the Presidency in 1864, with a number of prominent activists supporting John C. Frémont over Lincoln for the Republican nomination—a view with which Mott sympathized even though she personally “had little interest in the election,” concludes Carol Faulkner in the recent book Lucretia Mott’s Heresy. Angered by her ambivalence, one of Mott’s associates insisted that they no longer talk about political matters. For her part, Mott felt these various aims were hardly at odds; she kept active in the antislavery societies until they disbanded and simultaneously helped organize the Freedman’s Relief Association, which provided aid to newly released slaves. When I see these young men and strong coming forward with acknowledgments of their indebtedness to the cause, and rejoicing that they have been among its later advocates; and when I look around upon this platform, and see here a LUCY STONE, an ELIZABETH JONES, and a THEODORE TILTON, all laboring so effectively in the field, I feel that we older ones may indeed retire, . . . If you don't see the full selection below, click here (PDF) or click here (Google Docs) to read it—free!